Microsoft is now accepting applications from potential beta testers for its fall Xbox 360 Dashboard update, according to reports. Microsoft rumor site and fan of all things Redmond, WinRumors, reported earlier that the Microsoft Connect web site was live, though hitting that same URL right now isn’t yielding the same results for us. That, of course, doesn’t mean it wasn’t earlier and, more importantly, it doesn’t mean that it won’t be working again later. The message that WinRumors was seeing earlier suggests that Major Nelson was either supposed to be sending out a link in order to sign up, or more likely, will be doing at a later date. It’s possible that someone at Microsoft flicked the big red ‘sign up’ switch a little too early, and has since pulled the site back down. Unfortunately, the version we’re currently seeing isn’t quite so inviting. "Public Preview Program: We’re sorry, but at this time we are not currently accepting registrations for the public preview program stay tuned for future updates when the registration process begins." 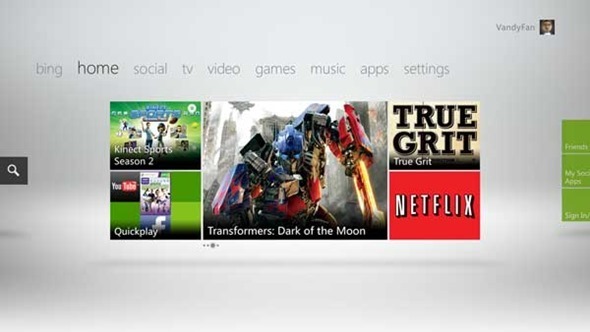 The fall update for Microsoft’s Xbox 360’s Dashboard promises a slew of new changes for the console’s user interface, the most interesting of which is Bing integration. Users will be able to search content using the power of their voice, thanks to the motion-sensing accessory Kinect which we all went out and bought, only to never actually use. That search functionality will also link into the new video partners that Microsoft recently announced. HBO, YouTube and other large video distribution companies are jumping onboard, and the U.S. isn’t the only country getting the feature, with Microsoft releasing a comprehensive list of just who we will be finding on our Dashboard come this fall. If you do get onto the beta program, be sure to send us an email and let us know how you managed it! For the rest of us, it might be worth keeping an eye on Microsoft Connect for the time being.